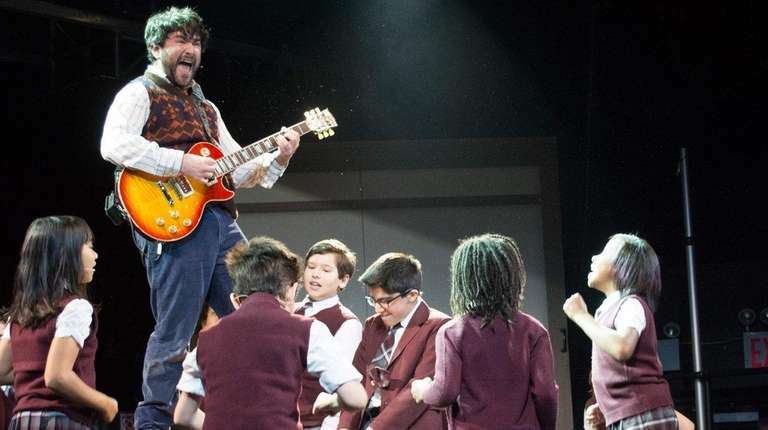 The morning after "School of Rock" opened on Broadway to enthusiastic reviews, its producers announced that the musical will come to London next fall. It will play the London Palladium, which, appropriately enough, has played host to the Beatles and the Rolling Stones. A U.S. tour will launch in 2017. Wendy, Michael and John eventually left Neverland, and so it seems will Matthew Morrison. The former "Glee" star, who plays "Peter Pan" creator J.M. Barrie in the musical "Finding Neverland," will depart the production on Jan. 24. His replacement has not been named. Meanwhile, Kelsey Grammer, who originated the role of Captain Hook, will return to the show on Jan. 19. Sam Mendes has apparently lost his golden ticket. The director will no longer be involved with "Charlie and the Chocolate Factory" when the musical (which opened in London in 2013 under Mendes' direction and is still running) comes to Broadway, as reported by Variety. Rumors suggest that Jack O'Brien ("Hairspray") will take over for Mendes. The megahit musical "Hamilton" is coming to Chicago next fall. As opposed to just a stop on a national tour, it will play an open-ended run there. It may be cheaper to fly to Chicago and see "Hamilton" there than to try and buy tickets to the Broadway production. Sherie Rene Scott, who co-wrote and starred in the prison-set comedic drama "Whorl Inside a Loop" Off-Broadway over the summer, told Out.com columnist Michael Musto that the play is in the process of coming to Broadway. However, she added that her role (an actress who works with male prisoners to create an original piece of theater) will be assumed by an unnamed star. Mick Fleetwood, Stevie Nicks and Sting at "School of Rock" … Emma Watson at "Allegiance."